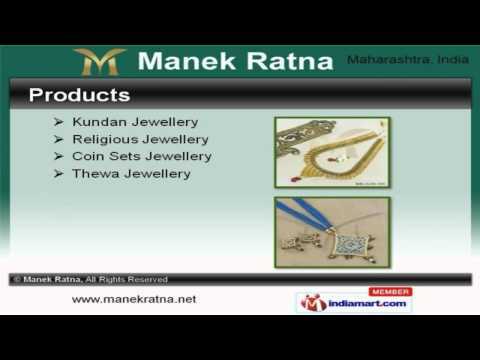 Welcome to Manek Ratna, Manufacturer and Exporter of Jewelery and Religious Idols. The company was established in 2010 at Mumbai. Good financial position and Ethical business policies make us different from others. Client centric approach, large production capacity and Flexible payment options are the plus points of our organization. We offer a wide assortment of Religious, Coin Sets and Thewa Jewellery. Our Temple Pendants and Necklace Sets are best in the industry amongst others. We offer Pendant Sets and American Diamond Earrings that are in huge demand across the global markets. Designer Earrings and Religious Idols offered by us are some of our best selling products. Along with that we offer Antique Earrings and Finger Ring appreciated for their excellent designs. We also provide Fancy Bracelet for Fashion Industry that are one of the best in the market.